Well, what do you know! It's That TIME already... TIME to let you know what songs you voted for as the GREATEST of all TIME! As a bonus, we're starting off with the "extras"...the songs that just missed the top 77 on the list. Here we go, with the Top 77, the songs you voted for as the greatest of all time! 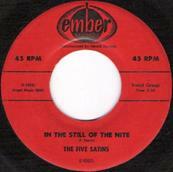 CHART ODDITY ODYSSEY - This song made the top 100 five times by five different acts, three of those times in the top 20. CHART ODDITY ODYSSEY - The 5th Dimension charted three times in 1969. All three of those songs made the top 20, two got to #1. CHART ODDITY ODYSSEY - This is the fourth most popular song from the 1950s in the 17 years we've been doing this survey. It has appeared in the Top 77 eight times. 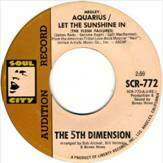 CHART ODDITY ODYSSEY: This was the first of four consecutive songs to get to #1 that began with the letter "B" in 1972. The others were "Black and White" (Three Dog Night). "Baby Don't Get Hooked on Me" (Mac Davis), and "Ben" (Michael Jackson). 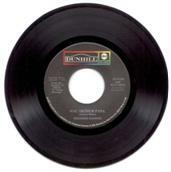 CHART ODDITY ODYSSEY - The Skyliners first two chart songs, this and "This I Swear", spent 31 weeks on the top 100. Their next, and final, four songs spent a TOTAL of 27 weeks on the top 100. 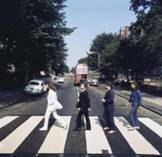 CHART ODDITY ODYSSEY - The LP this song was from, "Abbey Road", jumped on the chart on October 25, 1969, one week after the double-sided single "Come Together" b/w "Something" entered the Top 100. The LP stayed on the chart for 32 weeks. 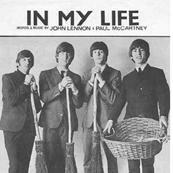 Each side of the single charted for 16 weeks, or a total of 32 weeks, exactly the same as the LP. CHART ODDITY ODYSEY - Although this original version entered the chart seven weeks before The Crew Cuts' cover version, the cover version charted higher, making it to #3 in 1955. 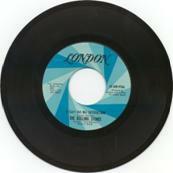 CHART ODDITY ODYSSEY - This was first released in 1969 with "Poem 58" as the flip side. It bombed. 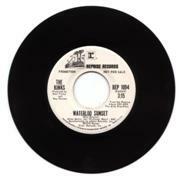 Then it was re-released in 1971 with "Colour My World" on the flip side and became a top 20 hit. 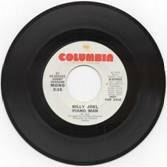 CHART ODDITY ODYSSEY - This song, Billy's first to chart, led the way to four straight songs that failed to make the top 20. He didn’t come close to having four straight songs fail to make the top 20 until 16 years later in May of 1990. 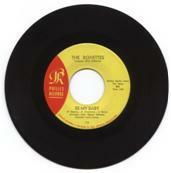 CHART ODDITY ODYSSEY - This song soared to #1 to become the group's first chart hit. 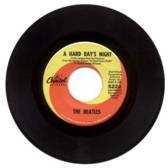 As the British invasion faded, their chart success cooled and the closest they'd ever get to #1 again would be three years later when "San Franciscan Nights" got to #9. CHART ODDITY ODYSSEY – This is the tenth time this song has made our top 77, but five of those ten times have come consecutively, in the last five years. CHART ODDITY ODYSSEY – Their previous five chart songs failed to make the top 20. The next time this would happen wasn’t until 1969. Then, once again, they broke that streak by going to #1, that time with “Someday We’ll Be Together”. 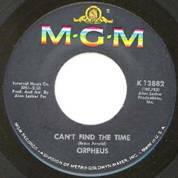 CHART ODDITY ODYSSEY – This was one of the rare cases where a single charted on one label, Capitol, yet the LP charted on another, United Artists. 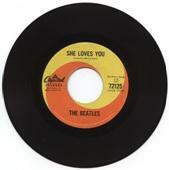 The Beatles charted on ten different record labels in 1964. CHART ODDITY ODYSSEY – This was the first of 14 top 20 songs in about 25 months for the group. That’s an average of one hit song every two months for two years plus! CHART ODDITY ODYSSEY – This was the band’s 23rd chart entry in five years. 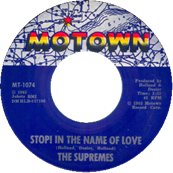 After this fell off the Top 100, they would have zero chart entries until 1971, when they went to #1 with “Brown Sugar”. CHART ODDITY ODYSSEY – After this record peaked at # 8, Chuck would not chart higher until 14 years later, when “My Ding-A-Ling” improbably got to #1. 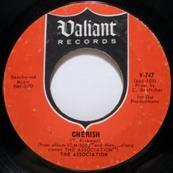 CHART ODDITY ODYSSEY – When this song got to #9 on the chart, it became their highest charter in five years. And once it fell off the chart, they would not chart as high again until 13 years later when “Come Dancing” got to #6. 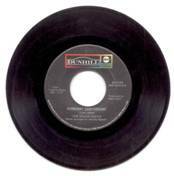 CHART ODDITY ODYSSEY – This was the first of 26 double-sided records to make the Top 100 for the group. 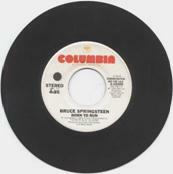 CHART ODDITY ODYSSEY – Although Bruce has charted over 25 times on the Top 100, this is one of only two songs that have made out Top 77 in 17 years. 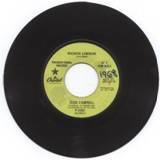 CHART ODDITY ODYSSEY – Before this song fell of the chart in October of 1965, Sonny and Cher, together or as solo acts, would have six songs on the Top 100 in a 14 week span. CHART ODDITY ODYSSEY – This song was written for a soundtrack, “Lifehouse”, that never existed once the film’s production was halted. 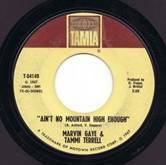 CHART ODDITY ODYSSEY – This was the first of seven chart entries and four top 20 songs for Marvin Gaye and Tammi Terrell. Marvin paired up with three other ladies through the years, but those pairings only yielded two top 20 songs. CHART ODDITY ODYSSEY – This was Glen’s breakthough hit after failing to make the top 20 nine times. One of those nine, “Gentle on My Mind”, actually charted longer than this one, sixteen weeks as opposed to fifteen weeks, but “Gentle…” only got to #39. 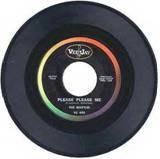 CHART ODDITY ODYSSEY – Released in 1963 in the U.S. as “Please Please Me” by The Beattles, the label finally got their name right for Beatlemania, and the song went to #3. 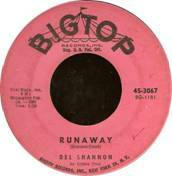 CHART ODDITY ODYSSEY – Only five songs in the 1960s stayed at #1 longer than this one. CHART ODDITY ODYSSEY – Despite this being a top 20 song and DJ favorite in 1969, WABC and WMCA in New York never charted the song. CHART ODDITY ODYSSEY – Pet was 32 years old when this song got to #1, making her one of the oldest Top 40 acts to reach the pinnacle of the charts in the 60s. She re-recorded "Downtown" seven times, in 1976 (as a disco song), in 1984 (with a new intro), in 1988, in 1996 and 2013. In October 2011 she recorded several lines in the remake by the Saw Doctors. Her 2013 album also features a new version of the song. In addition, the original was remixed and re-released in 1988, 1999, and 2003. CHART ODDITY ODYSSEY - By the time this song got to #1 in September, it was only the ninth #1 record of the entire year. CHART ODDITY ODYSSEY – This was her only #1, her only top ten, her only top 15. In fact, her only other top 20 hit didn’t come until 14 years later, when “I Could Never Miss You” got to #18. 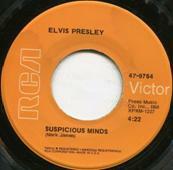 CHART ODDITY ODYSSEY – Four years earlier, this song peaked at #103 on the “Bubbling Under” chart. 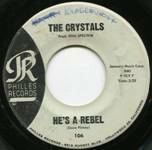 CHART ODDITY ODYSSEY – All six Crystals records on Phil Spector’s Philles record label made the top 20, The highest they charted on any other label was #92. CHART ODDITY ODYSSEY – Despite having 16 top 20 hits by the time this made the chart, Marvin peaked higher with this one than any that came before. 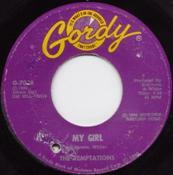 CHART ODDITY ODYSSEY – This was Tommy’s last major hit where he shared billing with The Shondells. CHART ODDITY ODYSSEY – “Sequel”, the follow-up/answer/resolution to this song actually charted higher nationally, despite having the same melody. 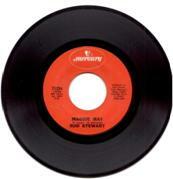 CHART ODDITY ODYSSEY – There have been over 2,500 recorded versions of this song. 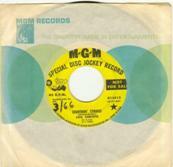 CHART IDDITY ODYSSEY – This was first recorded in 1967 by The Evergreen Blues and failed to chart. CHART ODDITY ODYSSEY – When this song returned to the chart in 1990, it was competing with itself, a newly recorded version by the duo that peaked at #19, while the original went to #13. 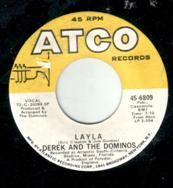 CHART ODDITY ODYSSEY – Del returned to the chart with a live version of this in 1967. But the record only got to #112. CHART ODDITY ODYSSEY – When this song reached its ninth week at #1, only two other songs had stayed on top longer: Guy Mitchell’s “Singing the Blues” at 10 weeks, and Elvis’ double-sided hit “Hound Dog”/”Don’t Be Cruel” at 11 weeks. CHART ODDITY ODYSSEY – Peaked at #111 in 1968, then returned only to peak at a weak #80 in 1969; nevertheless, it’s become somewhat of a classic. CHART ODDITY ODYSSEY – This was one of only seven #1 songs from the rock era through the 1980’s that had an exclamation mark in the title. 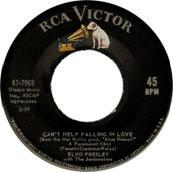 CHART ODDITY ODYSSEY – Once this song got to #2, it would be the last time Elvis would ever have three top ten songs in a row. 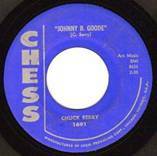 CHART ODDITY ODYSSEY – This was “The King’s” last #1 song to chart, coming 8 ½ years after his last one, in 1962, “Good Luck Charm”. 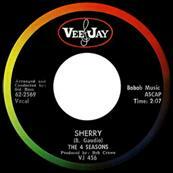 CHART ODDITY ODYSSEY – Thanks to Vee Jay Records pulling out old catalogue songs to capitalize on The Four Seasons’ popularity, the group was competing with itself when this was released, as “Stay” was also climbing the chart. That one ended up peaking at #16. CHART ODDITY ODYSSEY – Believe it or not, this was the ONLY Ronettes record to make the national top 20 chart. 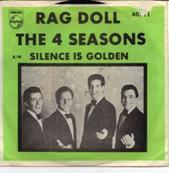 CHART ODDITY ODYSSEY – This was The Four Seasons’ first top ten hit. 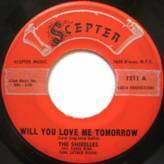 They would have at least one top ten hit per year after this until 1968, when the highest they peaked was #24 with “Will You Love Me Tomorrow”. They would not have another top ten song until 1975. 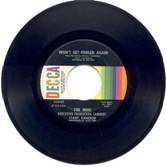 CHART ODDITY ODYSSEY – This song started phase two of Lou’s career. His first was in 1963 and “The Gypsy Cried”, his third began in 1969 with “I’m Gonna Make You Mine”. This one, in 1966, produced his only #1 hit. CHART ODDITY ODYSSEY – This song was from the LP “Rubber Soul”, which was one of nine consecutive albums The Beatles placed at #1. 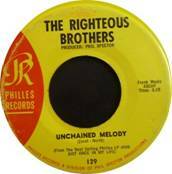 CHART ODDITY ODYSSEY – This was originally the “B” side of the single; however, even though “Reason to Believe”, the original “A” side, managed only to get to #62, it helped make this single Rod’s only two-sided charter in his top 100 legacy. CHART ODDITY ODYSSEY – This was a bigger national hit the second time around in 1992, when it was featured in the film “Wayne’s World”. 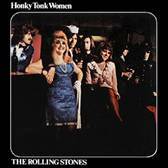 In 24 weeks it peaked at #9 in 1976. But in 1992, it made it to #2 in 17 weeks, for a total of 41 weeks! 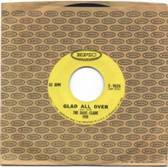 CHART ODDITY ODYSSEY – Although immensely popular as part of the British Invasion in 1964, it took 13 chart entries before this group finally got to #1 with “Over and Over”. This song, although it only got to #3, has proven to be the fan favorite through the years. 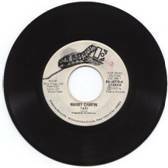 CHART ODDITY ODYSSEY – Before it made the top ten in 1972 with the long version of the song, the song actually premiered on the top 100 and peaked at #51 in 1971 in a shortened 2:43 version. 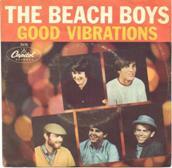 CHART ODDITY ODYSSEY – Although this has turned out to be a favorite of Beach Boys fans, it was not a major hit at all. 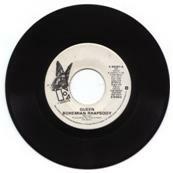 In fact, four Beach Boys’ “B” sides charted higher than this did. CHART ODDITY ODYSSEY – The summers of 1966 through 1970 proved a dead zone for The Kinks, with only three chart entries at the bottom half of the top 100. This song somehow emerged as a fan club pick from this otherwise dismal time period for the group. CHART ODDITY ODYSSEY – Although a #1 smash, the group’s next two entries bombed. 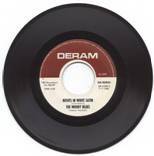 It took until the following summer for the band to rebound with their second, and last, #1 song, “Windy”. 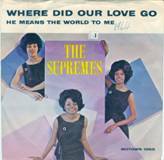 CHART ODDITY ODYSSEY – This song was never released as a single in 1967, despite being one of the group’s most popular songs ever. Finally, in 1978, the song WAS released as a 45 rpm. Too little, too late…it didn’t chart at all. CHART ODDITY ODYSSEY – This group had five #1 songs, yet every one of them only stayed on top for ONE week each. 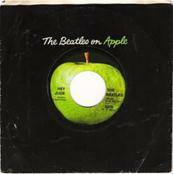 CHART ODDITY ODYSSEY – Originally released on Swan Records in the U.S. in both white and black label pressings, this was the ONLY Beatles release on that label, 45 rpm or LP. 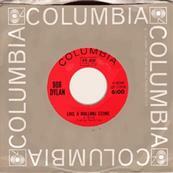 CHART ODDITY ODYSSEY – Dylan’s two biggest hits peaked at #2, this one and “Rainy Day Women #12 & 35”. Once the 1960s turned into the 1970s, he would never again have a top ten hit. 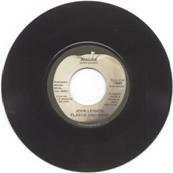 CHART ODDITY ODYSSEY – Although this song got to #3 on the top 100, it stayed on the list for only nine weeks, the shortest time of any of Lennon’s top 20 hits. 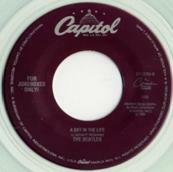 CHART ODDITY ODYSSEY – This was the only top ten song for the group between early 1964 and the fall of 1966. They ended up with four #1 songs, two in the 1960s and two in the 1970s. CHART ODDITY ODYSSEY – This is another “signature song” that did poorly on the charts. According to the top 100, “Dancing in the Dark” was his biggest hit, but just try telling that to Bruce-ites. CHART ODDITY ODYSSEY – The Beatles went out in a flurry, even though NONE of the songs on the chart in 1970 were recently recorded. 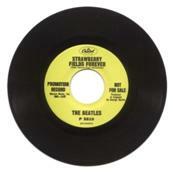 The LP “Let It Be” was charting at the same time the “Hey Jude” LP was on the chart. 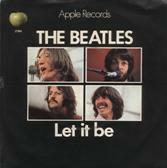 “Let It Be” was still on the top 100 as “The Long and Winding Road” entered the chart. 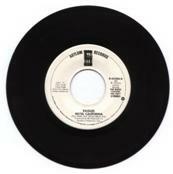 CHART ODDITY ODYSSEY – This was the first of six #1 solo hits for Diana Ross. With The Supremes, she had twelve. CHART ODDITY ODYSSEY – With this song never being released as a single, “Whole Lotta Love” ended up being the ONLY top ten song for this superstar group. 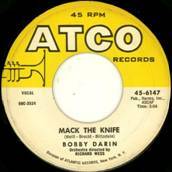 CHART ODDITY ODYSSEY – What started out as a gangbuster career subsided substantially after this song faded away, Don would go on to have only two other top 20 hits and only two other LPs to chart, neither of which made the LP Top 20 list. CHART ODDITY ODYSSEY – It took 28 chart entries and 22 years before The Beach Boys returned to #1 on the top 100 with “Kokomo”. CHART ODDITY ODYSSEY - This started a streak of 28 top 100 records that resulted in an appearance of at least one song on the top 100 every week into November of 1964. CHART ODDITY ODYSSEY – This group had five top 100 songs. None of them peaked higher than this, at a modest #24. CHART ODDITY ODYSSEY – This was their biggest hit, and the peak of their success. Soon after this, the duo broke up and would have only three more top 20 hits over the next twelve years after having eleven top 40 hits in the previous five years. 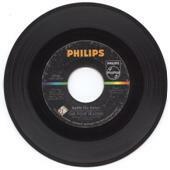 CHART ODDITY ODYSSEY – After this huge hit, Richard would peak no higher than #41 on the top 100. In fact, as iconic as this hit was, Donna Summer had more chart success with her version in 1978, peaking at #1 in 20 weeks. 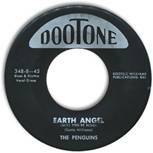 CHART ODDITY ODYSSEY – This song was the only record ever to go straight from “Pick Hit of the Week” to #1 on the WABC survey. 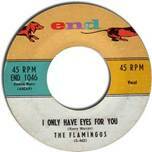 CHART ODDITY ODYSSEY – This song spent nearly six months on the top 100, which almost matched the total time spent on the chart of their next three singles. CHART ODDITY ODYSSEY – WABC never played the original version of this song when it was current. Instead, they played a custom-made version that edited out the last verse of the song, which Program Director Rick Sklar deemed too risqué to play on his broad-based Top 40 station. CHART ODDITY ODYSSEY – This double-sided record entered the chart on September 14, 1968. The Beatles would not debut another record on the top 100 until May 10, 1969. That eight month gap represented the longest period of time between chart debuts that the Fab Four would ever have as an active group between 1964 and 1970. There you have it! This year’s “Countdown” version of the All-Time Top 77 as voted by YOU!